Under the patronage of His Highness Sheikh Mansour bin Zayed Al Nahyan, Deputy Prime Minister and Minister of Presidential Affairs of the UAE, the awardees of the Second Cycle of the UAE Research Program for Rain Enhancement Science were announced and honored this afternoon at an exclusive ceremony held at the Abu Dhabi National Exhibition Centre (ADNEC) during the 2017 Abu Dhabi Sustainability Week (ADSW). Research groups from USA, Finland, and UK were selected as awardees of the 5 million US dollar grant awarded for the Second Cycle of the UAE Research Program for Rain Enhancement Science. His Excellency Ahmed Juma Al Zaabi, Deputy Minister of Presidential Affairs in the United Arab Emirates and Chairman of the Board of Trustees at the National Center of Meteorology and Seismology, awarded the researchers a grant on behalf of His Highness Sheikh Mansour bin Zayed Al Nahyan. Also in attendance were several high-level dignitaries, diplomats, along with members of research groups from Japan, the UAE and Germany, led by Professors Masataka Murakami, Linda Zou, and Volker Wulfmeyer, named as awardees of the Program’s First Cycle. He added: “This cutting-edge research could make a real difference for countries suffering from droughts across the world. The success of the First and Second Cycles of the UAE Research Program for Rain Enhancement Science testifies to the importance of its goals and demonstrates the excellence of its execution, and through this one of a kind initiative, the UAE is proud to play its part in strengthening water security and positioning our nation as an international hub for advanced research and innovation in this crucial area”. Dr. Paul Lawson, from the United States of America, for his work on investigating new approaches to rain enhancement that leverages ice production processes in cumulus clouds. Dr. Lawson founded SPEC Incorporated in 1979, a company that manufactures state-of-the-art airborne cloud physics instruments and has participated in over 50 international research projects. Prof. Hannele Korhonen, from Finland, for her work on the role of atmospheric aerosols in efficient precipitation enhancement. Prof Korhonen is a Research Professor at the Finnish Meteorological Institute, where she also acts as the Head of the Atmospheric and Ocean Modelling group. Prof. Giles Harrison, from the United Kingdom, for his work on the electrical properties of clouds and on rainfall modeling. Prof Harrison’s experimental work also includes making some of the first airborne measurements in UK airspace of the Icelandic volcanic ash from Eyjafjallajökull, during the April 2010 flight ban. The three proposals that received awards this year were selected from 91 global scientific research proposals submitted by teams representing leading international institutions and organizations. The awardees of the Second Cycle were selected after an intensive evaluation process from a shortlist of finalists nominated by the Program’s evaluation committee, which comprised a 10-member expert panel and supported by 15 reviewers. In accordance with international best practice, the reviewers evaluated all of the proposals on the basis of very strict criteria and complete confidentiality. His Excellency Dr Abdullah Al Mandoos, Director of the National Center of Meteorology & Seismology (NCMS), said: “The UAE Research Program for Rain Enhancement Science is generating new insights that could have wider applications for countries suffering from scarcity of natural water resources. Thanks to the UAE’s vision, we can look forward to a continued international effort in the field of rain enhancement that could have a real impact on water sustainability in developing regions across the world”. Launched by the Ministry of Presidential Affairs of the UAE in early 2015 and managed by the UAE National Center of Meteorology and Seismology (NCMS), the UAE Research Program for Rain Enhancement Science is an ambitious global initiative designed to stimulate rain enhancement research. The Program seeks to address water security challenges through international cooperation to advance scientific and technical research and innovation. The research areas that the Program addresses include the fundamental understanding of rainfall enhancement, data modeling, analysis and evaluation, and experimental design, technologies and instrumentation. The Program has already kick-started renewed scientific enquiry in the field of rain enhancement on a global scale by articulating two core goals: to advance the science, technology and implementation of rain enhancement, and to increase rainfall for water security in arid regions and beyond. The Program pursues four key objectives: enhancing the level of research and innovation in the field; advancing scientific understanding of rainfall augmentation; developing state-of-the-art techniques in rainfall enhancement practices and operations; and the acceleration of capacity building in the field both locally and globally. As part of the Program’s initiatives to encourage more research and advancement in rain enhancement technologies, strong international ties have been established with leading scientists and representatives from a wide range of prominent global institutions. The achievements of the Program’s team can be seen in the series of successful international research collaboration visits and event participations stemming across 7 countries and 4 continents in the year 2016 alone. The Program delegation met with numerous researchers and representatives from top global institutions in order to initiate research collaborations and encourage submissions to the upcoming Third Cycle. The UAE Research Program has witnessed an expansion in the geographical participation of the Second Cycle, with over 398 scientists and researchers affiliated to 180 institutes from 45 countries. This includes academia’s from 15 additional countries which include Austria, Azerbaijan, Belarus, Belgium, Canada, Colombia, Egypt, Georgia, Hungary, Mexico, Qatar, Saudi Arabia, Serbia, Sweden, and Turkey. The Second Cycle also saw a high level of interest from researchers from the GCC region, with the UAE ranking second for the overall number of pre-proposals submitted this year, right after the United States. As part of the Program’s efforts to establish itself as a leader in the field of rain enhancement, the UAE Research Program for Rain Enhancement Science will hold the first ever International Research Progress Workshop on Rain Enhancement on 18 and 19 January at ADSW. The workshop will present an overview of the newly awarded research projects from the Second Cycle of The Program, showcase updates on the research projects awarded during the First Cycle of The Program, and provide a platform of choice to discuss innovative technologies to tackle water security challenges. Registrations are currently open for the Third Cycle at https://www.uaerep.ae. Potential applicants are invited to participate in the grant Program by submitting a letter of intent no later than February 16, 2017. Pre-proposals must be submitted by March 16, and full proposals on or before August 17, 2017. 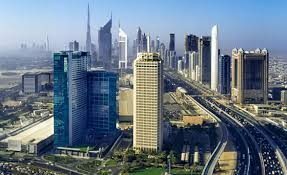 The UAE Research Program for Rain Enhancement Science, an initiative of the UAE Ministry of Presidential Affairs overseen by the National Center of Meteorology and Seismology (NCMS), offers a grant of 5 million US dollars over a three-year period to be shared by up to five winning research proposals. The Program was launched with the aims of addressing water security challenges and placing the UAE at the international forefront of scientific research into rain enhancement. 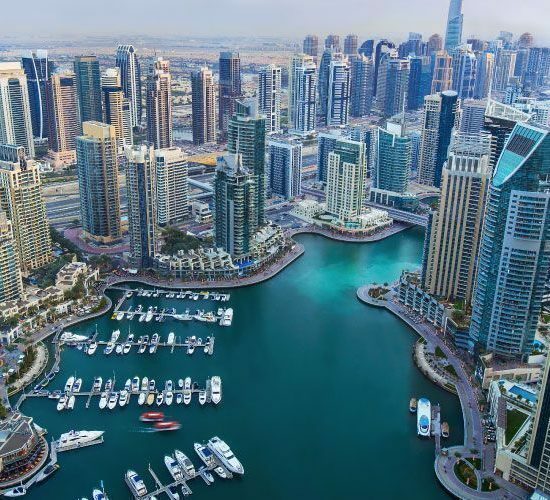 In the context of UAE’s Innovation Strategy, the Program is structured to develop human capital and stimulate investments in research in this field for the benefit of arid regions and beyond.